About SCARS: SCARS is a non-profit Edmonton and Athabasca based registered charity that is operated almost entirely by volunteers. Relying on support from donors, sponsors, members and other fundraising efforts, SCARS helps communities by taking in pets that are unwanted or slated for euthanasia, many of which are sick or injured. Every animal is given a veterinary and behavioural assessment and any medical care or rehabilitation it requires, SCARS finds loving adoptive homes for more than 1,000 pets every year. The Position: SCARS is creating a new managerial position that will play a key role within the SCARS management structure. Reporting to the Board of Directors, the Manager will serve as the SCARS’ Foster Home Coordinator and will provide support to the day-to-day activities of SCARS. Due to the challenging and unpredictable nature of animal rescue, this is a fast-paced environment. The successful candidate will require sound judgment, considerable tact, exceptional interpersonal skills, strong communication abilities, administrative and organizational skills and a passion for animals. 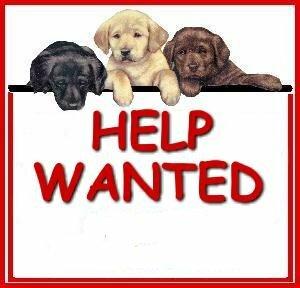 Foster Home Coordinator – Ensure that SCARS has foster homes that are active, able and willing to take on new foster animals appropriate for their home environment – and that they remain current to standard practices and training. Records Management – Work with the Intake Team, Foster Home Team and others to ensure that information and records are managed appropriately and that information and records are managed appropriately and that the customer service experience of the adoption process is positive. Internal Communications and Organizational Support – Manage internal communications, sharing information as needed and working with the Board of Directors, President and others to improve communication and information sharing among the management structure. Other Duties as Assigned – Support the organization through the completion of other projects and tasks as assigned by the Board of Directors. This is a full time position. Salary to be determined. Please forward your resume and covering letter to Myrna Coombs at mwcoombs@xplornet.com by March 31, 2019.